These challah rolls are filled with apple butter and pecans, and sprinkled with brown sugar and cinnamon. 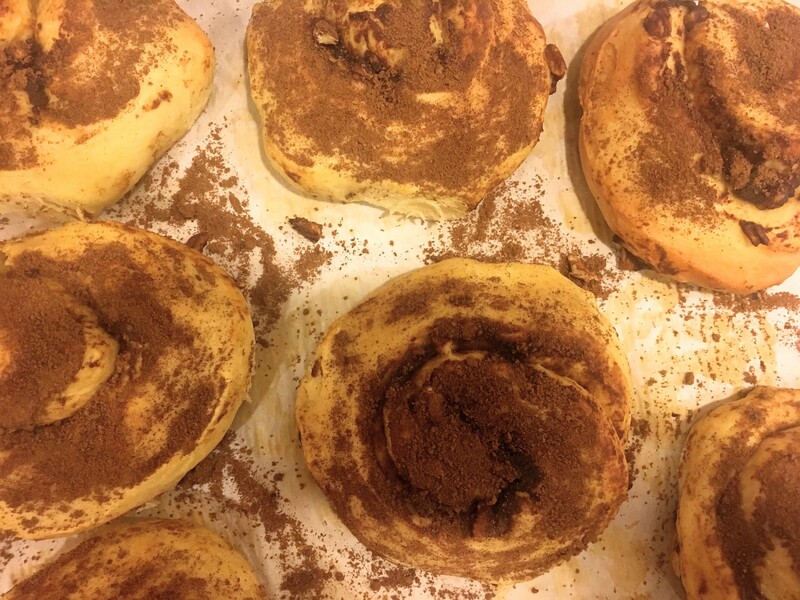 They are less sweet than traditional cinnamon rolls, but just as delicious. I shared the recipe in my latest column for The Knockturnal; read more about the them here.